Hempstead County, AR. 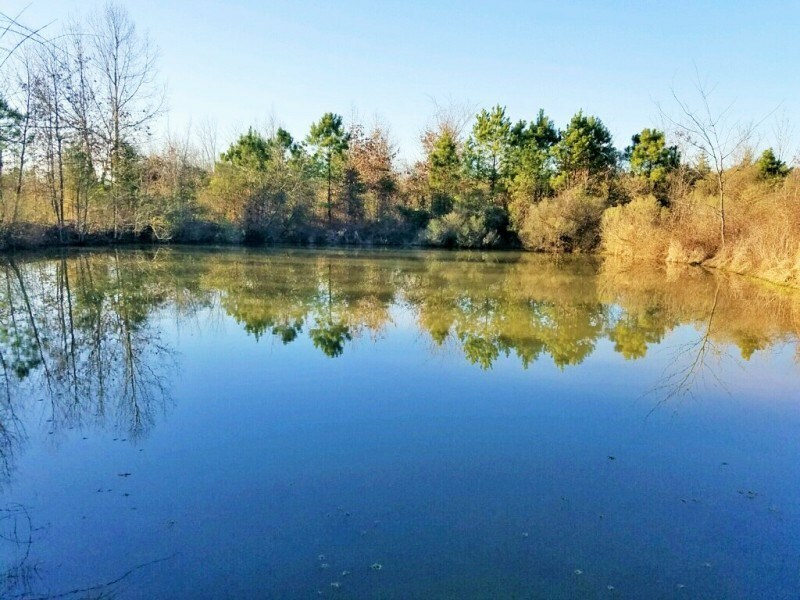 This 160 acre tract of land is located in Fulton, AR, approximately 20 miles NE of Texarkana. There are about 93 acres of open pasture land and about 67 acres of partial timberland, mostly cleared within the past 5 years. There is a deeded easement for access, no road frontage. This is a great recreational property for weekending and hunting. Great rural hunting land, a hunter's dream! There is an abundance of whitetail deer, lots of eastern wild turkey, coyotes, bobcats and smaller critters. There are 2 ponds. There is a solar powered well that provides good water at any time during the daylight hours. The well is located near the center of the property on high ground, making an excellent place for a cabin or RV. Cleared trail around the perimeter of the property. 1. This property is being sold with a reserve. In other words the seller reserves the right to accept or reject the high bid. Upon approval (normally within 3 business days) the high bidder will be notified by our staff at the phone number or email address provided on the registration form. 2. There is a 10% buyer’s premium. 10% or $2000, whichever is greater, will be added to your high bid to arrive at the contract price. KEEP THIS IN MIND WHILE YOU’RE BIDDING. Example: High bid $100,000.00 X 10% = $10,000.00. $100,000.00 + $10,000.00 = $110,000.00 is the contract price. 3. There will be a 10% deposit due today. Immediately following the bidding, the successful bidder will execute a contract for the purchase of the property and deposit 10% of the contract price with the escrow agent. Personal checks are accepted. The contract is NOT assignable, NOT contingent upon financing, NOT contingent upon inspections. 4. The balance of the purchase price is due at closing within 30 days. Each purchaser is responsible for obtaining his/her own financing if necessary. You must be pre-approved for financing. If you are unsure of your ability to obtain the necessary financing, do not bid as you could lose your earnest deposit if you don’t close. 5. A seller’s disclosure of condition of the property has been provided in the materials here today. The property is being sold “as is” and “where is” with all faults, if any. No warranty as to condition or suitability for any purpose is expressed or implied. Buyers shall rely entirely on their own information, judgment and inspection of the property and records prior to the auction. None of the personal property will be conveyed with the sale. Bidding signifies agreement to all disclosures. 6. The contract to purchase this property is subject to the seller being able to provide an insurable title. Purchaser will pay all closing costs associated with this transaction with the exception of the seller providing owners title insurance and pro-rated taxes. All other expenses will be paid by Buyer. 7. All adjustments of taxes or other pro-ratable items on this property shall be prorated as of the date of closing. 8. Bidding signifies you have read and are in agreement with terms and conditions of the today’s contract. If you do not agree, do not bid!! 9. If you wish to be a back up bidder, please see me after the auction and we will put you on the list in the event the high bidder does not close. We will contact you and invite you to purchase the property. There is no obligation to purchase and no signature is required. This is a matter of reference only. 10.The auctioneer controls the bidding, corrects any mistakes made and determines how to handle tie bids. 11.Neither Auctioneer nor Seller shall be liable for any personal injury on the sale premises. Buyer assumes all risk and liability whatsoever resulting from the use of the item(s) sold hereunder, and shall defend, indemnify, and save harmless Seller and Auctioneer from any liability. Johnny has been involved in professional real estate experience since 1999 and is a member or the Texas and National Real Estate Associations. He and his wife, Becky, have bought and sold dozens of residential and commercial properties as investors. As a licensed real estate broker and auctioneer, Johnny loves selling farm & ranch land, country homes, recreational land, timberland and commercial property and has assisted many clients all over Texas but more specifically, Longview and the surrounding East Texas area accomplish their real estate goals. Johnny has trained real estate investors all over the U. S. for various companies including Amarillo College Real Estate School, Trump University, and Armando Montelongo Seminars. His sales and communications skills have been highly developed over his 25 years as a consulting nutritionist for feedlots throughout the western United States and Australia. He has owned farm and ranch land in Oklahoma and Texas. His vast experience in the agricultural industry make him highly qualified to meet your needs in buying and selling farm and ranch real estate. He is a licensed broker in Texas, Oklahoma, Louisiana and Arkansas. Johnny began applying his sales and people skills to the auction business since 2012. He has put together an auction team with over 40 years of combined experience in the auction industry. He is dedicated to meeting your auction needs whether that entails real estate, equipment (Industrial & Farm), business liquidations, estate sales or benefit auctions. He is a member of the National Auctioneers Association. Johnny and his wife Becky live in Longview. They have 3 children and 8 grandchildren. They are members of Woodland Hills Baptist Church. He looks forward to meeting you and asks for the opportunity to represent your best interest in your next real estate transaction. Give Johnny a call today at 903-387-6647!